She loved the car, wanted it very much. But perhaps it would be more of a hobby than a car. Besides, what would she do with it for 6 months of the year? "For those of you unfamiliar with Canadian winters - if I have to explain, you wouldn't understand....! :)" Maybe a true car enthusiast would love to have it, instead. But should she fix the leaks before selling it, or leave it completely original? Aside from a repaint 10 years ago in the original color, everything was correct and in place. 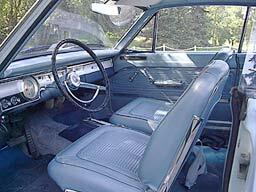 No torn seats, no cracked dash, and negligible rust. A really nice car. If only it weren't so impractical to keep. The quantity of energetic replies astounded her, as we all drooled over her gem of a time capsule. Opinions varied, but in common seemed to be the concept that, although the car needed work, it might not be as bad as she feared. 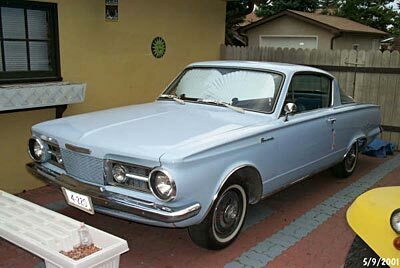 Her Aunt's mother (the original owner) was thrilled to learn that there was still any interest at all in her old car. Whether the stars weren't lined up in the universe properly for a sale to happen, or maybe some of us realized it would be cruel to purchase such an amazing car from someone who clearly wanted to keep it but didn't know how she could, Shelly started convincing herself that she had some good options available. A short time later, her solution materialized, when a mechanic friend offered to store the car over the winter and then get it in driving condition for the following spring. That would take care of the first winter's storage problem, too! "I knew I could feel confident driving it when the mechanic hopped in the car in the spring and delivered it back to me - a five hour trip - just because he really wanted to drive it!" Shelly has lately been enjoying driving around every day in her aunt's time capsule, and reports that it really turns heads. "I have no problem with the non-power steering, brakes, etc.," she said, "and if I want tunes I throw a transistor radio in the glove box." The little slant 6 powered car is now clean enough to eat off of, inside and out, and she seems a little surprised to see how much her husband enjoys keeping it so spotless. Is it a show car, then? "I really have no interest in putting it in any car show but someday I might. I know there aren't any other ones like it around here. There's usually just the same purple sparkle metallic '70 cudas all the time." 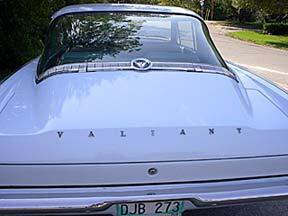 She laughs at the notion that her car was made in a feminine pastel color, and admits that she would have chosen black. But it's too good (and too original) to change. 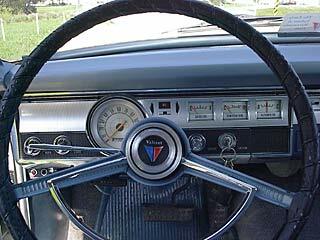 Note the Canadian model uses a 65 Dart (US) dashboard. Yea, I'd say the car is a keeper. And is being enjoyed in a good home, which was Shelly's original hope. 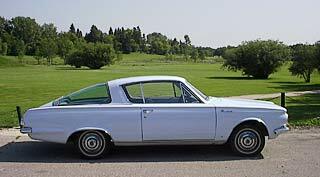 Shelly enjoys her Barracuda up in the Wilds-of-Manitoba, whenever there isn't any snow.